I actually read the novella Reluctant Elf and totally loved it (read my review here). Michele Gorman will make you laugh out loud--I am sure these other two romantic comedies are just as good and I think I will be getting them for myself!! The Reluctant Elf: Meet Britain's Worst Innkeeper... 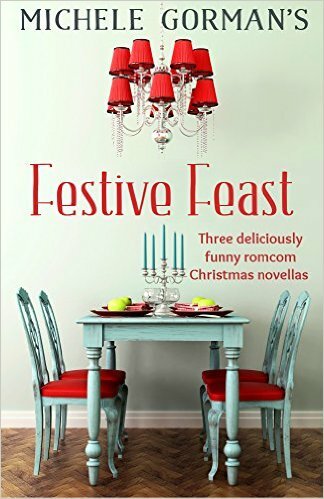 Single mother and extremely undomestic goddess, Lottie, has five days to become the ultimate B&B hostess to save her beloved Aunt Kate’s livelihood. Christmas Carol: One winter wedding, two happy couples, three ex-boyfriends. And a very uncomfortable weekend... Carol hates Christmas. Being recently dumped, she’s not crazy about weddings either. So her sister Marley’s nuptials, over the Christmas weekend, with her three exes, are making her positively Scrooge-like. TWELVE DAYS TO CHRISTMAS – What if his proposal had an expiration date? I received nothing for posting this spotlight! All opinions expressed are my own honest opinions. For more information please check my Disclosure Statement. Our giveaways are in no way sponsored or promoted by Facebook.